Monarch is the oldest UK airline, first established on the 5th June 1967 by the British Eagle International Airlines directors Bill Hodgson and Don Peacock. It began commercial airline operations on the 5th April 1968 and has since grown to become one of the most popular airlines offering great deals on flights to a range of destinations, including Cyprus Larnaca and Paphos airports. It holds a UK Civil Aviation Authority Type A operating Licence and has its headquarters at Luton airport. There is a wide range of in flight meals suitable for all ages and eating preferences that can be ordered, along with an in-flight shopping magazine to get your purse/wallet twitching. Oman Air is the national airline of Oman. It was founded back in 1993 and is based on the grounds of Muscat International Airport in Seeb. It has won countless awards, such as the title of 'Best Airline Worldwide 2011' in the travel magazine 'Reise & Preise'. Services include both international and domestic flights. Oman Air have also contributed more to the technological advancement of commercial aviation than any other airline, and, in 2010, were the first airline to offer both mobile phone and Wi-Fi internet services on certain routes. The company also caters some of the finest food around, with a selection of special meals available on board. Whether vegetarian, travelling with a child, or of a restricted diet, there's something to suit every preference. One thing you can expect from Oman Air is quality and a comfortable and enjoyable journey. Pegasus is one of Turkey's private airlines, with headquarters based in Istanbul. 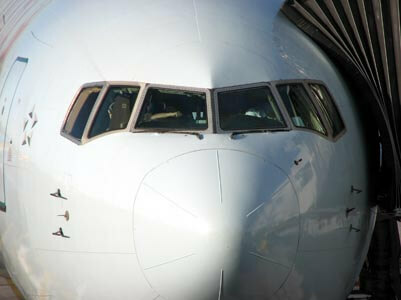 It deals with both domestic and international flights, including departures to and from Ercan airport in the Turkish Republic of Northern Cyprus. Having started its services in 1990, Pegasus is always trying to further improve and develop their services so that they can provide a flying experience that is as efficient as possible. With experienced cabin crew and an impressive monthly success rate in terms of on-time flights, you're assured to have a safe and smooth running journey. There's a good choice in on-board meals, with breakfast, lunch and dinner meals suited to a variety of travellers, whether health conscious or just very hungry. Just remember to book your order 36 hours in advance! The affordability of Pegasus is what really sets it apart from other airlines, along with the fact that it does not sacrifice on excellent service either, still hoping to constantly better customers flying experiences. Getting to your destination is all part of the holiday experience after-all, and if you can be given a comfortable flight you'll be off to a good start. Royal Jordanian is Jordan's national carrier. First established in 1963, they have grown to become a reputable and popular company, flying to 60 global destinations around Europe, Asia, Africa, and anywhere in the Middle East. Economy class provides you with all the amenities needed to be comfortable and relaxed on your flight, along with staff hospitality that creates a welcoming atmosphere on board the plane. There's in-flight entertainment that consists of a wide range of movies, TV shows and music. There's also a choice of reading material available for you to kick back and lose yourself in throughout the journey! Full meals are served on medium to long flights, while light snacks are served on shorter flights. There are more than 40 different (but equally delicious) dishes to choose from, all ranging from local to international cuisine. There's also a special request menu for those with particular dietary preferences. Kid's meals are available too, so there's truly something for every passenger. There is also crown class, which includes premier check in and a suave lounge to chill out in pre-flight. Everything from Economy you'll find here, but it'll be just that little more lavish and luxurious. For example, you can dine in the 'Royal Restaurant', which creates a restaurant style atmosphere on board the flight. Sri Lankan Airlines are the flag carrier of Sri Lanka, and fly to destinations in Asia and Europe from their hub at Colombo Bandaranaike International Airport. There is Economy and Business class, and in both you will find a hospitable and efficient service to ensure a comfortable journey. In-flight entertainment consists of a selection of movies, TV channels and radio channels. There are also 16 video games available on A330 and A340 flights. You can always watch the 'air show' too, which is a moving map that reads from the aircrafts navigation system to reveal your current location, speed, altitude and estimated arrival. There are also services for children, with toys, games and cartoons to keep them entertained. In flight meals must be pre-ordered at least 48 hours in advance and are of a high standard, prepared by a special team of chefs. Those with special dietary requirements can be catered for also. In business class you'll find extras like a flat bed and premium check-in, along with a complimentary lounge at the airport. Based in Manchester, Thomas Cook Airlines has been flying over seven million passengers per year around the world since 2008 after a merger with Thomas Cook AG and My Travel Airways. They fly to and from 95 destinations around the world over five continents including major destinations in the UK and Cyprus. Drinks and snack options are available on board, but must be purchased, and champagne and special treats or gifts are also available but must be pre-ordered. Thomas Cook Economy Class In flight meals designed by celebrity chef James Martin Meals and snacks available to buy Tax/duty free items available to buy Entertainment available on long haul flights (on a Playstation Portable) 28 inch seat pitch Thomas Cook Extra Legroom ?17.50 - ?40 per person per flight depending on length of flight Please note prices stated above, can change dependinjg opn the airlines fees. To confirm prices and availability please contact our sales team on 0844 414 1686. TUI fly also known as Thomson is a fairly new German airline and has dozens of destinations around the world including Egypt, Turkey and (of course) Germany. Founded in 2007, Thomson fly is the third largest airline in Germany after Lufthansa and Air Berlin and provides a fantastic service to multiple popular holiday resorts and is a great choice for travellers looking for a good value airline. Thomson fly offers flights to Larnaca and Paphos airports so that the transfers into the North of Cyprus are easy and quick. Thomson Extra Legroom (XL Exit Row) Additional ?20 per person per way 96cm distance between seats Thomson Economy Class Online check in available ?7 to reserve a seat 74cm seat pitch Cold snacks or hot meal and a drink depending on flight time Entertainment available including movies, magazines and radio stations These prices may change from time to time. To confirm the above please contact a sales team member. First formed in 1933, Turkish Airlines are the national flag carrier airline of Turkey, and are headquartered in Istanbul. With 187 aircraft, and 246 destinations around the world, Turkish Airlines are a very large company that cater to millions of people each year. At Skytrax's 2012 World Airline Awards, Turkish Airlines won the award for Europe's best airline and came seventh in the world, constantly proving that their services are top class, and their Economy class is also award winning, being named the second best economy cabin in the world. Founded in 1933 as part of the Turkish Ministry of Defence, Turkish Airlines became an international carrier in 1947 with a service to Athens. 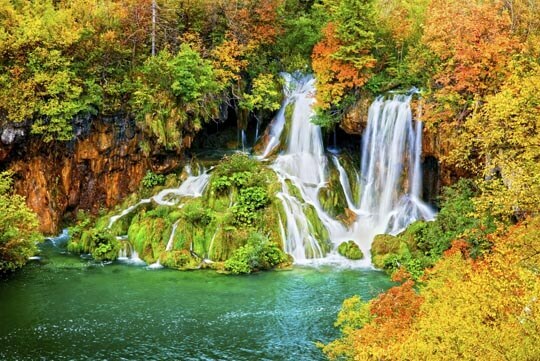 In more recent times, their services have expanded so that they now fly to Antalya, Dalaman, Istanbul (Ataturk and Sabiha Gokcen) and Izmir in Turkey as well as a wide range of International airports and British airports including Glasgow, Gatwick, Heathrow, and Manchester. 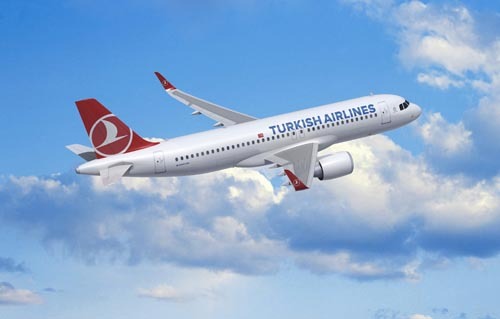 Turkish Airlines is a popular and reputable carrier that is often used for North Cyprus holidays, Turkey holidays and a range of other international holidays. Flights touch down in Istanbul, which means its an ideal airline for twin centre holidays also. Turkish Airlines provide all the necessary comforts and services to make sure that those flying economy have a quality journey for good value. The facilities depend on the aircraft and length of journey. Those that are usually over 2 hours show the news, films and TV shows. The planet digital systems with touch screen provide close to 350 films and around 600 albums. There is also in flight connectivity so that passengers can send and receive texts as well as e-mails. The meals vary depending on the flight, though when offered there is a good selection of hot meals, allowing you to try some Turkish cuisine if you wish. Morning flights provide some breakfast, and alcoholic and non-alcoholic drinks are always available too. Seating hopes to relax passengers with an adjustable footrest available and a maximum 6 inch recline. Flying in business class provides a stylish and relaxing way to travel. Turkish airlines offer some brilliant perks, with vintage champagne and fresh orange juice offered as a welcome drink. Menus are personalised, with specific meals and drinks to suit the passenger's preferences. There is plenty of choice in terms of meals, with mains inspired by Turkish and worldwide cuisine and deserts that will excite sweet toothed travellers. You can get 'eye openers' for overnight travellers that want something to get them ready for the day before breakfast. These include things like smoothies. There is a wide range of alcohol and non-alcoholic drinks available throughout the day also, and meals will depend on the time of day you are travelling. Entertainment is provided by the planet digital systems, which have a plethora of films, music and tv shows to view and pass the time with. Seating includes a 75 inch long sleeping space when reclines. There is a reading light, a massage button, a power receptacle for electronic device use and the arm rest also serves as a privacy screen. Lastly, you'll also have access to the luxurious and comfortable international lounge, which includes food, drinks, music, internet, a TV lounge and a library of newspapers and magazines (so you're not likely to get bored!) There are even shower facilities and a prayer room too. 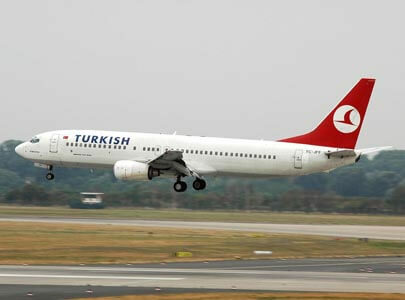 Turkish Airlines is the national flag carrier of Turkey, headquartered in Ataturk Airport, Istanbul. With 187 aircraft, and 246 destinations around the world, Turkish Airlines are a very large company that cater to millions of people each year. At Skytrax's 2012 World Airline Awards, Turkish Airlines won the award for Europe's best airline and came seventh in the world, constantly proving that their services are top class, and their Economy class is also award winning, being named the second best economy cabin in the world. Founded in 1933 as part of the Turkish Ministry of Defence, Turkish Airlines became an international carrier in 1947 with a service to Athens. In more recent times, their services have expanded so that they now fly to Antalya, Dalaman, Istanbul (Ataturk and Sabiha Gokcen) and Izmir in Turkey as well as a wide range of British Airports.